You will fall in love with this home the minute you see it! 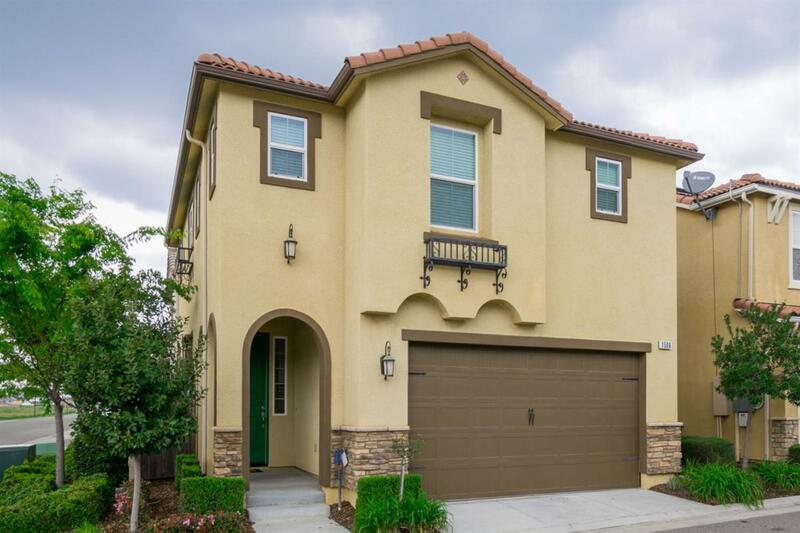 Located on a corner lot in Harlan Ranch, this gorgeous two story will be sure to impress. 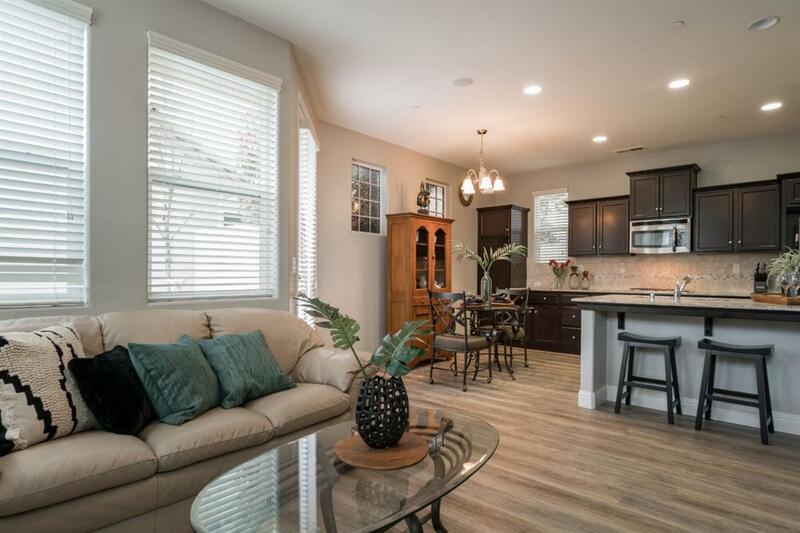 It offers an open concept floor plan where the family room opens up to the large kitchen, with bar seating area, and features all of the latest beautiful decorator colors. 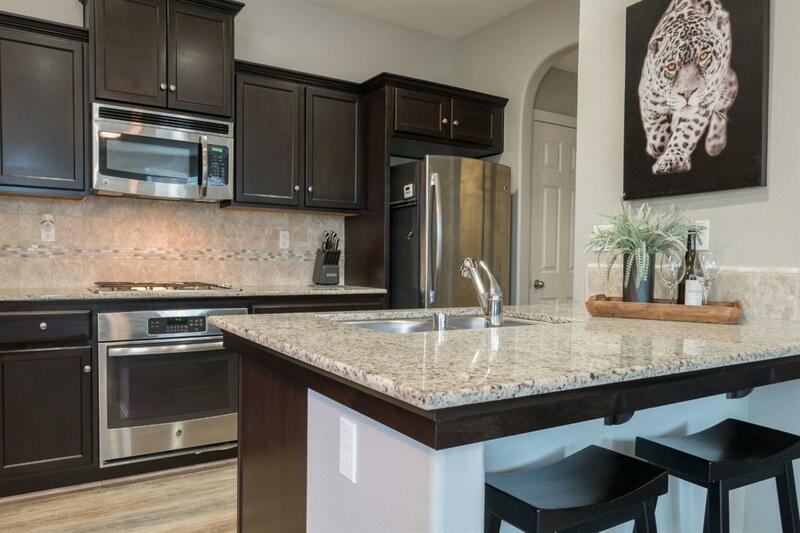 You will be amazed at the richness and the amount of space the granite countertops provide, along with the stunning tiled baksplash on dark cabinets. The natural looking wide plank wood floors are equally impressive and found throughout the downstairs. All three bedrooms and laundry room are located upstairs, including the spacious Master Suite with huge walk in closet, dual sinks with granite, and tiled floor; blinds and ceiling fans too. With all of the amenities of living in Harlan Ranch: award winning Clovis schools, tree-lined walking trails, community pool and events, you will not want to miss seeing this one! Love where you live & make appt. TODAY!